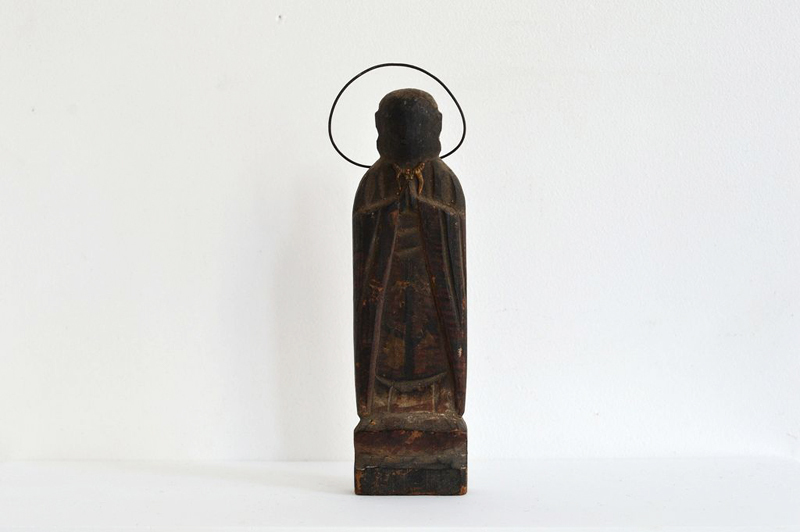 VOTIVE JIZO (Dealer: titcoRet) – The one of ‘Sentaibutsu’ (lit.‘Thousand Buddhas’) as a large number of wood carving Buddhist Jizo images dedicated to the wall of temple. Edo period, 19th century, Japan. Slightly but still remain its original color and necklace as well. Lovely face with slight smile seen from certain angles. Aged deterioration as is. Halo might be attached in the later years.